The video shows the L-Exos integrated into a virtual environment, which has been specifically developed for the motor rehabilitation of the upper limb. This is another smaller, remotely-operated, mine-clearance vehicle similar in principle to the BOZENA machine described in Video 574. 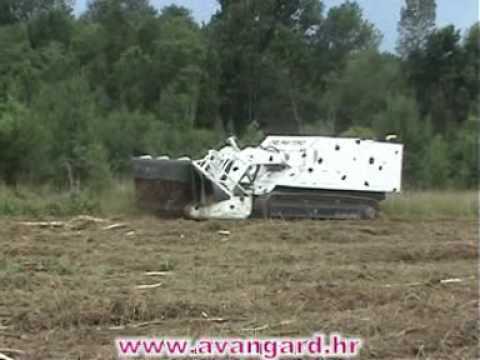 This video clearly shows the vegetation removal capability of these machines. Much of the technology that makes robots reliable, human friendly, and adaptable for numerous applications has emerged from manufacturers of industrial robots. With an estimated installation base in 2014 of about 1:5million units, some 171 000 new installations in that year and an annual turnover of the robotics industry estimated to be US$ 32 billion, industrial robots are by far the largest commercial application of robotics technology today. The foundations for robot motion planning and control were initially developed with industrial applications in mind. These applications deserve special attention in order to understand the origin of robotics science and to appreciate the many unsolved problems that still prevent the wider use of robots in today’s agile manufacturing environments. In this chapter, we present a brief history and descriptions of typical industrial robotics applications and at the same time we address current critical state-of-the-art technological developments. We show how robots with differentmechanisms fit different applications and how applications are further enabled by latest technologies, often adopted from technological fields outside manufacturing automation. We will first present a brief historical introduction to industrial robotics with a selection of contemporary application examples which at the same time refer to a critical key technology. Then, the basic principles that are used in industrial robotics and a review of programming methods will be presented. We will also introduce the topic of system integration particularly from a data integration point of view. The chapter will be closed with an outlook based on a presentation of some unsolved problems that currently inhibit wider use of industrial robots. This chapter serves as an introduction to Part D by giving an overview of motion generation and control strategies in the context of robotic manipulation tasks. Automatic control ranging from the abstract, high-level task specification down to fine-grained feedback at the task interface are considered. Some of the important issues include modeling of the interfaces between the robot and the environment at the different time scales of motion and incorporating sensing and feedback. Manipulation planning is introduced as an extension to the basic motion planning problem, which can be modeled as a hybrid system of continuous configuration spaces arising from the act of grasping and moving parts in the environment. The important example of assembly motion is discussed through the analysis of contact states and compliant motion control. Finally, methods aimed at integrating global planning with state feedback control are summarized. Author Siddhartha Srinivasa et al. The video shows a dual-differential drive robot that uses its wheels for both manipulation and locomotion. 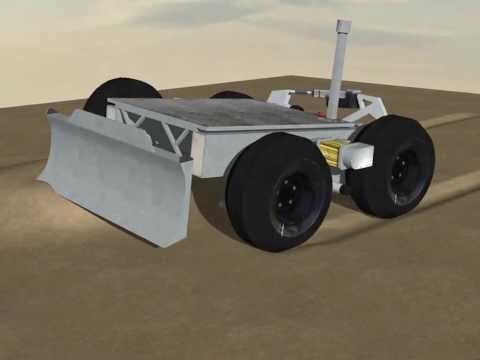 The front wheels move objects by vibrating asymmetrically while the rear wheels help to move the robot and the object around the environment. This chapter provides an overview of the state of the art of snake-like (backbones comprised of many small links) and continuum (continuous backbone) robots. The history of each of these classes of robot is reviewed, focusing on key hardware developments. A review of the existing theory and algorithms for kinematics for both types of robot is presented, followed by a summary ofmodeling of locomotion for snake-like and continuum mechanisms. Video of Aiko, a robot developed at the Norwegian University of Science and Technology (NTNU)/SINTEF Advanced Robotics Laboratory. In this video, the robot performs a sidewinding gait. This video generalizes the idea of transporting parts using horizontal and vertical vibration shown in the previous video and illustrated in Fig. 37.9 in Chap. 37.4.3 of the Springer Handbook of Robotics, 2nd ed (2016). In this video, a rigid supporting plate is vibrated with an arbitrary periodic 6-DOF motion profile. This periodic vibration enables control of the normal forces and horizontal plate velocities as a function of the position on the plate, effectively creating programmable velocity vector fields induced by friction. This video demonstrates five such velocity fields in sequence, each created by a different periodic vibration of the plate. This chapter discusses how to determine the kinematic parameters and the inertial parameters of robot manipulators. Both instances of model identification are cast into a common framework of least-squares parameter estimation, and are shown to have common numerical issues relating to the identifiability of parameters, adequacy of the measurement sets, and numerical robustness. These discussions are generic to any parameter estimation problem, and can be applied in other contexts. For kinematic calibration, the main aim is to identify the geometric Denavit–Hartenberg (DH) parameters, although joint-based parameters relating to the sensing and transmission elements can also be identified. Endpoint sensing or endpoint constraints can provide equivalent calibration equations. By casting all calibration methods as closed-loop calibration, the calibration index categorizes methods in terms of how many equations per pose are generated. Inertial parameters may be estimated through the execution of a trajectory while sensing one or more components of force/torque at a joint. Load estimation of a handheld object is simplest because of full mobility and full wrist force-torque sensing. For link inertial parameter estimation, restricted mobility of links nearer the base as well as sensing only the joint torque means that not all inertial parameters can be identified. Those that can be identified are those that affect joint torque, although they may appear in complicated linear combinations. This chapter first provides a formulation of the geometric path planning problem in Sect. 7.2 and then introduces sampling-based planning in Sect. 7.3. Sampling-based planners are general techniques applicable to a wide set of problems and have been successful in dealing with hard planning instances. For specific, often simpler, planning instances, alternative approaches exist and are presented in Sect. 7.4. These approaches provide theoretical guarantees and for simple planning instances they outperform samplingbased planners. Section 7.5 considers problems that involve differential constraints, while Sect. 7.6 overviews several other extensions of the basic problem formulation and proposed solutions. Finally, Sect. 7.8 addresses some important andmore advanced topics related to motion planning. In this video, the objective of the car is to reach a goal location by jumping over a ramp and pushing a block out of the way. This problem requires kinodynamic motion planning for a car-like robot using a physics simulator. 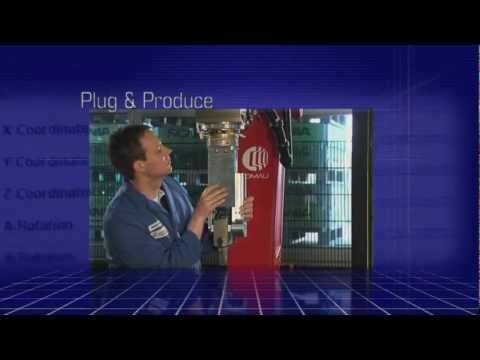 This video was generated using the software tools OMPL, Blender, and MORSE. This video presents the avionics testing trial of the senseSoar solar-powered UAV.